One of the best bet games played in the casino is ‘Craps’. If you are new to the game then it may turn out to be hectic and complicated one. The game includes the players to roll the dice, so that they are the ones whether to win or to lose. In craps you yourselves decide your fate as the spinning of the marble is done by you. However, in other games someone else spins the wheel for you or deals with the cards. 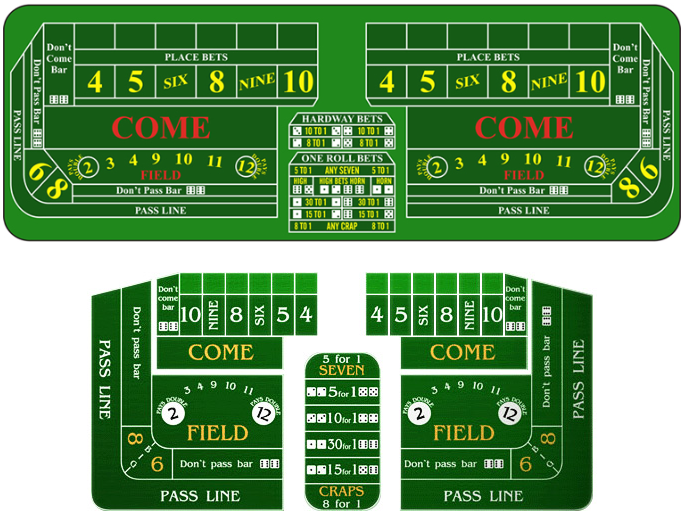 In Craps game, the only player who must place a bet prior to the first roll of the game is the Shooter. Just keep in mind if you want to become shooter then place a bet on the Don’t pass bar or Pass Line. As the dice is passed in the clockwise direction so there may be a case when you have to wait for your turn as a shooter. 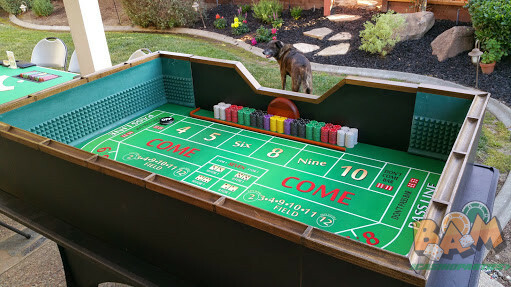 Craps is a multiple or single player betting game that can be explained as a game of rounds where the first roll of a round is known as Come- out- Roll. This round can last longer or shorter as per the number of turns. A player who’s rolling the dice is a shooter. Each player bets on the same roll of the dice, whether they are the shooter or other players. Shooter must handle the dice with one hand only while throwing the dice. Shooter must make Don’t Pass Line or Pass line bet. Shooter begins the round by rolling the dice to the opposite wall of the table. Come Out – To start with a round of game, a shooter makes one or more Come out rolls. A Come-Out roll of 2,3 and 12 ends the gaming round with the players losing their Pass Line bets. A Come-Out rolls of 7 or 11 results in a win for Pass line bets. Point – A shooter continues to make Come Out rolls till he rolls 4,5,6,8,9 or 10, which number becomes a point. Also , there are different wagers for the play. Listed below is the list of different wagers you can place while playing craps. Planning a new year party, christmas party or any other party, BAM Casinos are your party planners. We are there to let you experience the fun-filled casino nights without losing any real money. At BAM casino party, our professionals are at your service to explain you each and every single detail of your casino night event from a single scratch till the end. Turn your casino parties or get togethers into a successful party bash! Whether it’s a birthday party or get-togethers, christmas party or you are counting on a new year party, our geeks are there to provide you with the best plans within your budget and as per your requirements. Don’t miss a chance to let everyone enjoy your party. Groove your body, step your foot ahead to have fun-filled casino events and dance to the rhythm of the dices, cards and the sounds to have the unforgettable experiences. 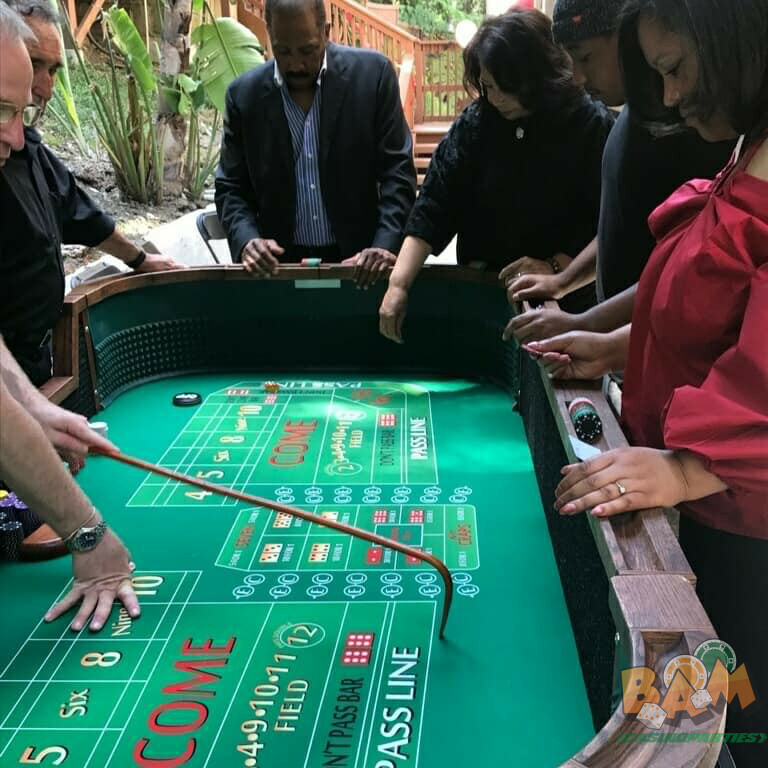 Whether it’s a birthday, retirement, get-togethers, bacheloratte, Christmas, new year or any other party, BAM casino parties will be always there to assist you with the best look, feel and the alluring environment. Never miss a chance to live and relive the best moments with your dear ones. Groove your body to the rhythm of the dices, cards and the sounds to have the unforgettable experiences. Are you Planning your next big party or casino themed fundraiser San Francisco? Looking for a fun idea or theme for your birthday party, prom casino party or grad night? Want to add some excitement to your company party or corporate event? Add some electrifying casino night entertainment with BAM Casino Parties. Let one of our casino party experts help you plan a memorable casino event that your guests will be talking about for days to come!